The Juice Master's Slim 4 Life: Freedom from the Food Trap by Jason Vale. 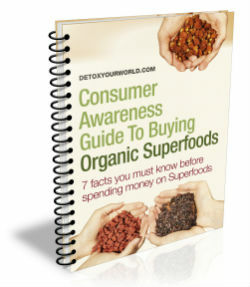 Fast food junkies, enslaved by the "drug food" industrial giants, are experiencing a "slow food" health crisis. Fast food slowly clogs up your arteries, fills your bloodstream with poisons, overworks every organ in the body, speeds up the ageing process and quite simply starves the cells in your body to death. In "Slim 4 Life", Jason Vale, the Juice Master, introduced his own food philosophy based on nature's real fast food raw juices, food that the body can digest, extract the goodness from and get rid of any waste -- fast. This recipe book follows on from this, giving you plenty of juicing recipes that should help you to become healthy, fit and full of life. Slim4Life was the Fast Food Nation for the man in the street. With its anarchic philosophy, wit and evangelism it has become a great word of mouth success. Many of Jason's followers are waiting for this recipe book follow-up. Jason is a fantastic advert for what he preaches. Fit and healthy, he is a former 8 pts lager/60 cigarettes a day man who has turned his life around, and since 1994 he has personally helped over thousands of people destroy their cravings for junk food, alcohol and cigarettes. 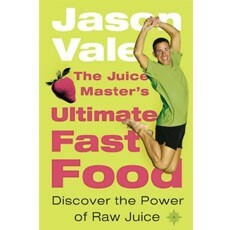 Jason Vale, the Juice Master, is a successful health and lifestyle coach. A former trainer for Alan Carr in Birmingham, he launched his London clinic and countrywide workshops two years ago. His seminars on losing weight and quitting drinking and smoking are consistently sold out. He has appeared on Trisha has been reviewed by the Sunday Times and is a key presenter at the Vitality Show.